Alastair Cook is bowled during his final Test for England. Alastair Cook marked the start of his farewell England appearance with a half-century but the hosts slumped from 133-1 to 198-7 on the opening day of the fifth Test against India. 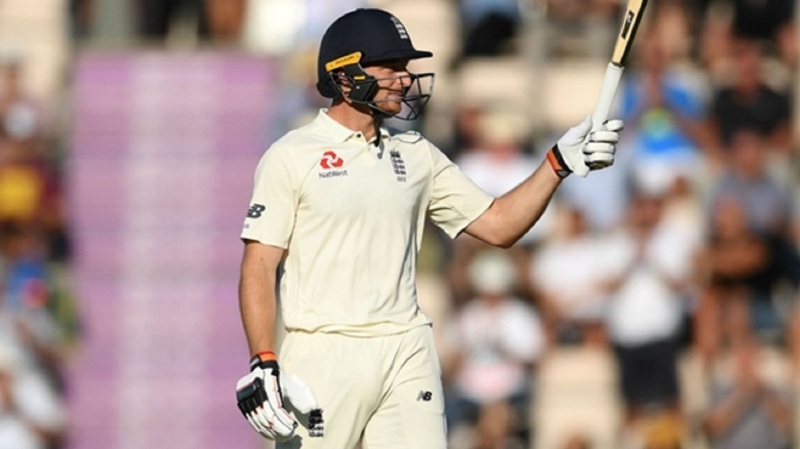 Left-hander Cook – who announced on Monday he will end his international career after the conclusion of the match at the Oval – showed why he is England's all-time leading scorer in the longest format with an attritional innings that appeared to put his side in a promising position after two sessions. Given a guard of honour by the India team on his way out to the middle, the opener looked set to capitalise on Ajinkya Rahane's failure to hang on to a simple catch at gully by marking his 161st and final Test with a big score. Yet India's impressive trio of seamers hit back after tea - and in some style, too - taking six wickets for 48 runs as England's batting frailties were once again exposed. 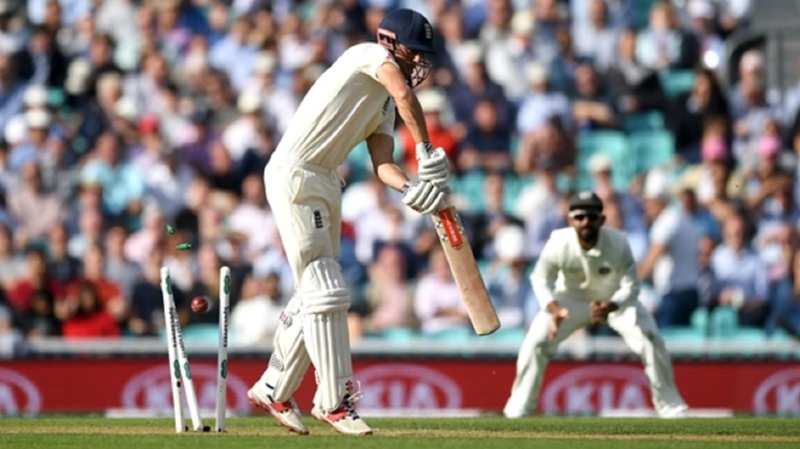 Cook demonstrated he still had the hunger for the fight during a difficult afternoon where both he and Moeen Ali were fortunate to survive, despite the ball beating the bat on numerous occasions. 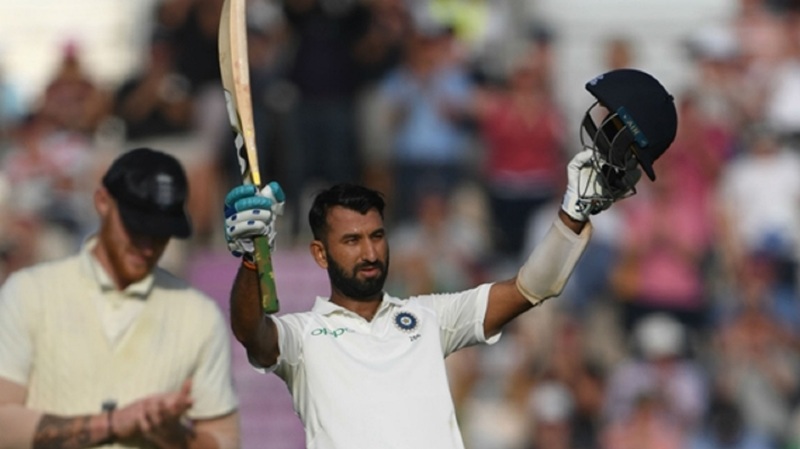 Still, having earlier put on 60 with opening partner Keaton Jennings – who steered the recalled Ravindra Jadeja straight to KL Rahul at leg slip having fought hard to reach 23 – the former captain helped to add 73 for the second wicket to seemingly lay the foundations for a sizeable total. Instead, Cook's departure - bowled via a thick inside edge for 71 - saw England fall apart. Skipper Joe Root – back batting in his preferred position at number four in the order – fell lbw in the same over to Jasprit Bumrah (2-41), while Jonny Bairstow also departed for a duck when he edged Ishant Sharma (3-28) behind. Ben Stokes (11) became Jadeja's second scalp when he played around a straight delivery from the left-arm spinner and Moeen's luck finally ran out on 50, Sharma finding the left-hander’s outside edge to provide Rishabh Pant with a simple catch on an otherwise tricky day for the wicketkeeper that saw him concede 25 byes. 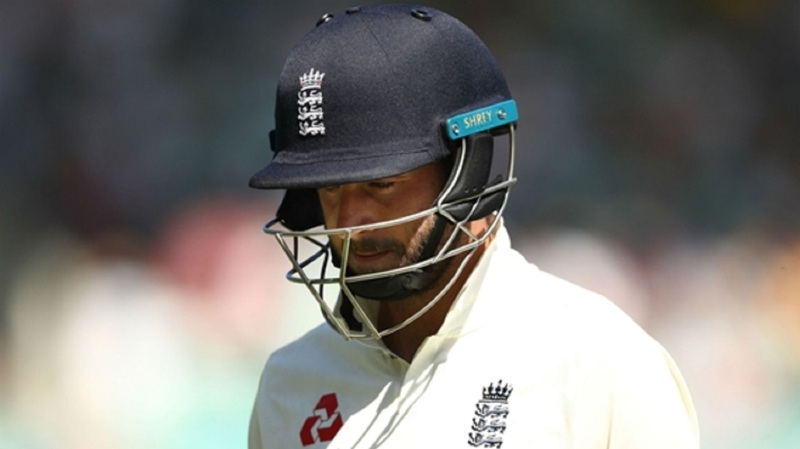 Even Sam Curran – often England's saviour down the order in the series, contributing 251 runs in his three previous Test outings – failed for once, guiding a catch to Pant off the face of his bat before he'd troubled the scorers. Jos Buttler and Adil Rashid survived through to stumps, finishing on 11 and four not out respectively, albeit only after the former successfully overturned an lbw decision thanks to a thin inside edge.